So one Saturday afternoon last July, Cerg and I decided to buy the album of Charice not from the net but from a brick and mortar store. 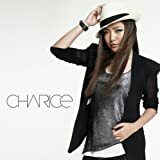 We went to Tower Records inside Parco Mall in Ikebukuro and searched for the album of Charice. It took us no time finding the CD because it was displayed prominently on its own corner rack. It was also featured as one of the Next Breakers -- artists that Tower Records predicts would next sweep the music scene. The album had two available editions - the European (International) edition and the Japanese Limited Edition. The Japanese Limited Edition was sold for 1,980 yen while the International Edition was offered for 1,455 yen. We chose the Japanese Limited Edition because it contains three bonus tracks that are not available in the other edition. One of these bonus tracks is the English cover of Mikazuki (Crescent Moon), a Japanese song by popular Japanese singer Ayaka. We are very satisfied with the album and we highly recommend it. Let's support Charice and other Filipino artists who come to Japan as this can help improve the image of the Philippines which is known here mainly for its bananas and female entertainers. 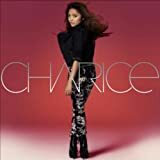 For several weeks in July and August 2010, the album of Charice stayed at No. 1 in the Foreign Album Category of Oricon Chart, the most authoritative music chart in Japan. Also, Charice's carrier single Pyramid placed No. 1 in the charts of Japanese radio stations. For more information about Charice in Japan, please visit the special section on Charice at Firipin.net.